One of the most common terms floating around the internet for website owners is SEO, but what does that actually mean? When broken down to its most basic level, SEO stands for search engine optimization. This means taking your website and enhancing it to be able to get natural and free ranking within the first results on most common search engines. Most people desire to be the top ranked result when people search on Yahoo, Bing, or Google for their website’s specific niche. The more you can do to help your site rank within the top results from one of these search engines, the more you are SEO’d on your site. How Do You SEO a Website? There are many common techniques that people turn to for SEO purposes. There are techniques that you can do within your website that affect your ranking. These are known as on-site SEO techniques. There are also techniques that have an external effect on your website. These are known as off-site SEO techniques. Both of these techniques involve you getting your website noticed, but both of them take very different approaches as to how they make that happen. Which method you choose to use on your website can determine the type of ranking your website gets naturally, or without paying services that rank your website up higher. What Are Common On Site SEO Techniques? Some of the most common on site SEO techniques include creating title tags for your website pages, adding keywords to your website’s content, adding in different headers with the keywords you are looking to rank for, and linking your site to authoritative sites that prove you know what you are talking about. Each of these techniques allow the search engines to see that your website is focused on specific keywords and ideas. The more informative and current your website is in the eyes of the search engines, the better your natural ranking will be. However, you have to remember that you have competition most of the time, so you have to be more informative, more accurate, or more current than your competitors to rank higher than them. This is especially true if they have been around longer than you have. What Are Common Off-Site SEO Techniques? Off-site SEO tactics, on the other hand, involve doing things outside of your website to get more attention brought to it. Some common off-site SEO techniques include posting guest blogs that link back to your site on other high-ranking blogs, submitting your site to forums or directories, submitting press releases when you have a new product or service to offer the public, reaching out to the public through social media outlets, and commenting on other blogs with a link back to your site within the comment. These are all things you must do if your focus is off-site on a regular basis. The more current each of these techniques is, the better chances your website has at getting a good ranking out of them. While no single SEO tactic will boost your website right up to the number one slot on a search engine overnight, when the techniques are able to work together, this is often the case for your website. It takes time, dedication, building up of trust with your visitors, and some hard work, but in the end, a highly ranking website is going to bring you visitors, business, and esteem within your field. Take the time to make your website run the way you want it to, and it will work for you right back. Enjoy the prestige and revenue that a solidly SEO’d site can offer. 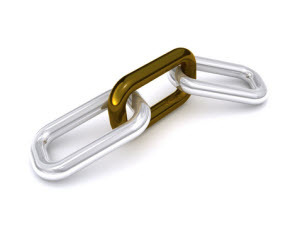 The process of link building involves getting external websites to link their pages to yours. This results in a higher SEO ranking for your website. It is a long and difficult process, because all links have different values. A link from a big company’s website like the NY Times will have more impact on the search engines’ results than a link from a newer or smaller website. Editorial Links are those that are given to you naturally by other websites that want to connect themselves to your content or company. No specific action by the SEO is required for the acquisition of these links other than creating a page with good material, so that other sites automatically want to link to you. 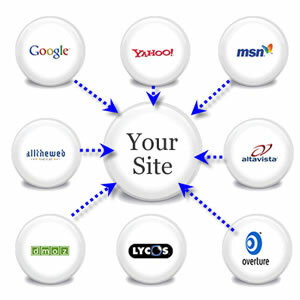 Outreach Link Building is done when the SEO reaches out to bloggers or webmasters to link themselves to your website. 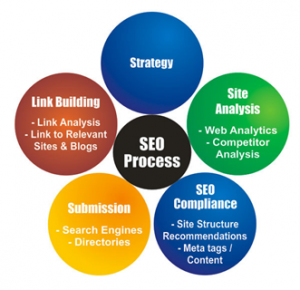 This is an effort done to achieve a higher SEO ranking. It includes some incentives for the target webmasters in order to convince them that linking themselves to you is in their best interests. Non-Editorial Links are a type of spam that search engines now penalize websites for. These are the links that are created by the users in the form of comments, user profiles, guest book signings etc. on the web pages. These are links formed by the website for itself, through the user without the user’s knowledge. Content that is compelling enough to make people want to link to it and refer to. Submissions of your content and news to directories and press releases etc. Mentions and Reviews from influential webmasters and bloggers. Reciprocal Links are those in which both parties link themselves to each other in order to generate mutual traffic. This type of link building is no longer supported or ranked by search engines. Directory Link Building is done by submitting your website to directories that keep these links in the form of categorized lists. Some directories are free while others may charge you for accepting your link. Blog Comments, as mentioned earlier are a type of non-editorial link building. Commenting on a blog leaves a link, which is a functioning link in case of a well thought-out site, but is usually a no-follow link, and therefore has no importance in the eyes of the search engine. Social Bookmarks are saved web pages, on the web, in a public location. As these are stored publicly, they have a good amount of SEO value. There are two main issues in this whole process; first, it is a very slow procedure which requires good copywriters, and a lot of work in order to make others link to you. And second; you rely on forces that you don’t control, and you are unable to control the quality or type of page that might get linked to yours. Link Building is an important element in any web design, as they are basically the most preferred way of getting an SEO ranking, because modern search engines rank websites on the quantity and quality of these links. What is Blackhat SEO and Whitehat SEO? When it comes to SEO, or search engine optimization, there are two very distinct styles. One style is considered to be a great way to get your website ranked, while the other is punishable by the lowering of your website’s ranking. The problem is, how do new (or inexperienced) website owners know which is which? Well, the best way to do that is to learn the difference between the different styles. These all used to be commonplace, but once the different search engines started running algorithms, websites started losing out for these unnatural practices. The point of a website is to inform the visitors and the readers, so for those websites that did not live up to that definition, they faced the ranking consequences. 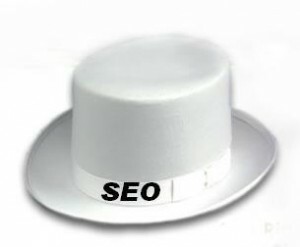 Whitehat SEO is what people should be using for any and every website they own. Using even one of the blackhat techniques can cause irreparable damage to your website. Unless you have the time and availability to fix your website from top to bottom, then you should not even consider using any blackhat techniques. They can cause damage that you may or may not be able to fix, and it can cause a loss of trust in the people who did visit your site, making it to where they no longer want to visit your site because they do not trust the site’s intentions. You should always check to make sure your content is totally unique and helps inform the visitors of exactly what benefits your site can offer over the sites of your competitors. When you are trying to rank up your website, you want to be able to boost your website with as much natural propulsion as possible. One relatively new way of doing that is by using social media. You can help kick your website up in front of a new set of viewers on a regular basis and show the presence that can help build trust in the potential customer’s eyes. The more social media activities you are seen in, the better chances your website has when it comes to moving up the ranks. When it comes to using social media, there are a few activities that will help more than others. The first thing you should do is create a consistent presence. If you are consistently around to respond or answer questions at a regular time, you will start seeing some familiar faces in the crowd. The more familiarity people have with you, the more trusting they will be about your business and the more your name will stick in their minds when they need a product or service they know you can provide. Another option is building links back your website that people can click on. This helps provide external links to your website, plus it increases the total viewership of your website. The more people use social media to get their name out there, the more people will trust what their name represents. This means that social media authors can start having a following of people who can look up the author’s name and read more about what that person has to say. Plus, the social media presence of a website is now a part of the algorithm that ranks your website, so if you do not do anything with social media for one reason or another, you are missing out on the highest ranking that your website could get in more ways than one. 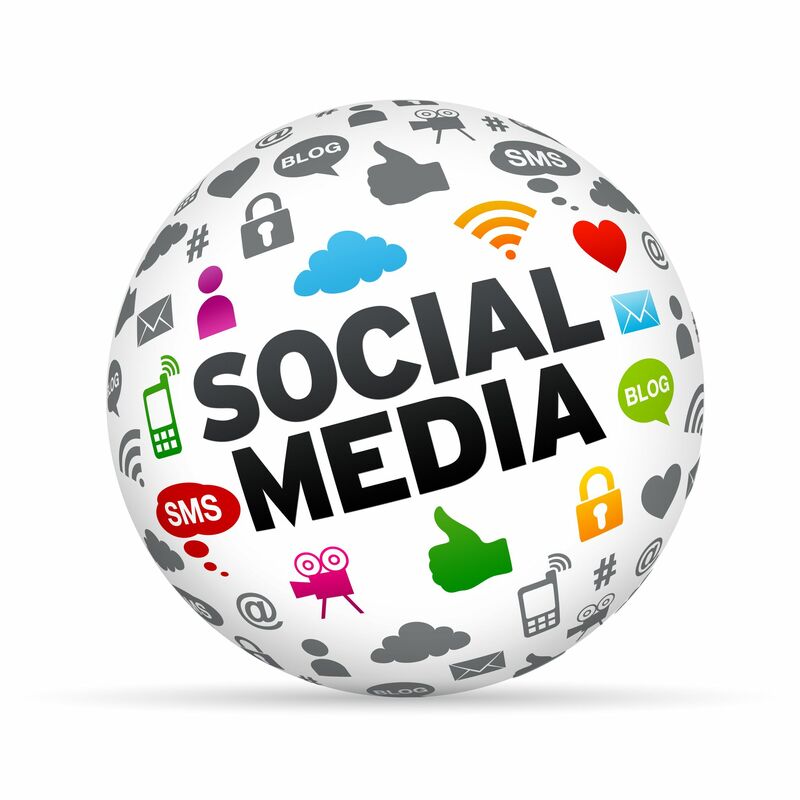 Using social media can be a very wise way to boost the ranking of your website. However, you have to make sure you still stick to ethical ways of boosting your ranking. Take the time to inform your viewers with accurate, engaging, and up to date content so that they learn to trust what it is you have to say. This goes for anything posted on your website and anything you post through your website’s social media accounts. A little time spent on social media can bring you big returns through your website on a consistent basis. Paying for links, whether they pass PageRank or not, is something that Google has frowned upon for some time. It is not good practice, and it is often harmful to the websites that attempt to use it as a form of SEO. However, there are some legitimate ways to be able to pay for links that can boost up your ranking instead of kicking you to the back of the pack. People who are looking to buy links are not always discriminating about the links they get. If you want your site to be seen as informative in the eyes of the search engines, you need to make sure that you are actually linking to regular information that will provide some benefit to your readers. When a web crawler looks over your site, including at the links you are using, if you are not providing useful information, your rank is very likely to go down. Linking back to products or reviews to try and boost affiliate marketing is also something you’re going to want to avoid. While this does make some people money, it is not good practice when it comes to building up links. You want to make sure you are providing substance to your readers, not trying to take from them. While buying links is not technically ‘illegal’, it can cause harm to your website. It can also harm your bottom line if your links do not lead to where people are wanting to be sent, causing distrust from your visitors in your products or services. Taking the time to build up your links the natural and ethical way is what is going to boost your website the most, and it’s worth the time it takes when all is said and done. When exploring the world of Search Engine and SEO Tools, most people instantly become confused and distracted by the amount of information that is available. Worse yet, most people do not understand what these tools do and how they can help them. Below is a list of 10 of the more popular search engine tools and how they can benefit users. 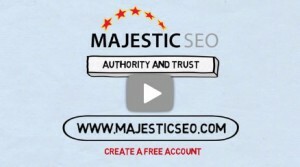 Majestic SEO is one of the most popular leaders in SEO tools. With features such as site explorer and backlink checker, users can get a very detailed look at any website with a few clicks of the mouse. Users can also take advantage of the search explore offered by Majestic SEO, so get detailed search information on potential keywords and see which competitors are using the keyword as well as help determine how easy or difficult it would be to rank for those specific keyword. SEOmoz has been one of the most respected and used names in SEO for years. The release of Open Site Explorer has made it easier than ever to locate backlinks. Users that register for an SEOmoz PRO account will also have access to rank tracking, tracking social media followers, and test new websites for potential search engine crawler errors and more. Raven tools has taken an interesting approach to SEO and content management by taking information from numerous sources such as Majestic SEO, Google Analytics, SEOmoz and others, to provide users with an extremely detailed look at content management, social media interaction, competition analysis, link building and more. There is very little that you can NOT do with the 30+ tools provided by Raven Tools. The content management tool helps ensure that any and all content on your site is properly SEO’d, helping you catch any mistakes that may have slipped by undetected. SEMrush is a serious competition research tool. You can narrow it down even more by using it to search specifically for information on paid advertising, SEO and marketing. You can take a keyword being used by a competitor and SEMrush will help you determine how well that word is working for that specific site, it will also gauge how strong that keyword is, and whether or not it is viewed as organic. WordTracker is a really neat company that is primarily known for their comprehensive keyword research. Instead of the massive amount of time spent tracking down viable keywords and comparing them manually, the WordTracker Keyword Tool helps you find the best keywords in a matter of minutes, all from a single source, concept or idea. The link building tool also scrubs the internet to find the highest quality and most trusted links that relate to your keywords and be sorted by relevance, popularity or authority, make it extremely useful for professional and novice webmasters alike. Tools like SEO-Spyglass by Link-Assistant has made it easier than ever for users to view and track the link building techniques and current plan being used by their competition. The information also includes the origin and number of backlinks, Alexa Traffic Ranking and their Google PageRank for any site. It does exactly what it says it does, it allows you to spy on your competition. BuzzStream is more than just your run of the mill link building tool, it provides an incredible social media management tool that can be utilized. With social media being as dominate as it is, most webmasters and businesses would love to find a way to track and review any conversations going on, related to them, in various social media platforms and now they can! It makes managing any and all of your social contacts easy and can make any social media campaign far more effective. Local Citation Finders are the unsung heroes for businesses in the SEO world. It allows you to focus your search by location, giving a better analysis of what is really going on with your business. After all, if you sell mufflers in Chicago, who cares if 15,000 people viewed your site in China today. Whitespark’s new Local Citation Finder helps users locate citation sources in specific cities, feeding that critical information to their users or clients. Rank tracking is one of the most commonly used and sought after tools when it comes to search engines and SEO. The ability to monitor any site, including your own is invaluable. Take for example Advanced Web Rankings new ranking tool, which allows users basically deconstruct a website and see how it is fairing, as far as keywords on any specific search engine. Users can see how each keyword ranks on numerous search engines, not just one or two. This tool should be used by anyone who manages or owns a website. For the sake of making a point, let’s take a look at Link-Assistant’s Website Auditor. It allows users to scam their website and quickly find duplicated content, missing or broken links as well as missing HTML elements. It saves businesses from the embarrassing moments when a client points out errors or flaws in their website. This tool should be used on a regular basis to prevent any unsightly mistakes from going on unnoticed for a prolonged period of time.